Mark your calendar for this popular event. 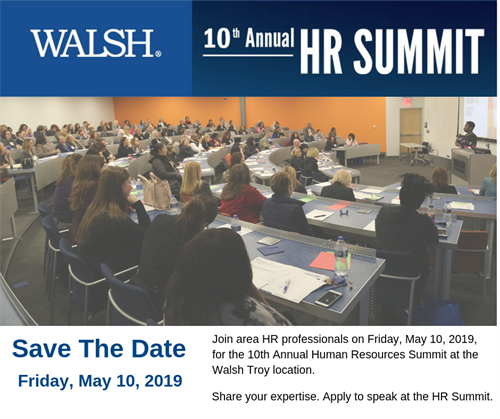 Join us on Friday, May 10, 2019 for the 10th Annual Human Resources Summit at Walsh. Want to share your expertise? Apply to be a speaker today! Submissions are due Friday, February 8.